We love to support local runs, they usually have a pretty good atmosphere and it's an amazing way to find places close to you that you didn't know existed! 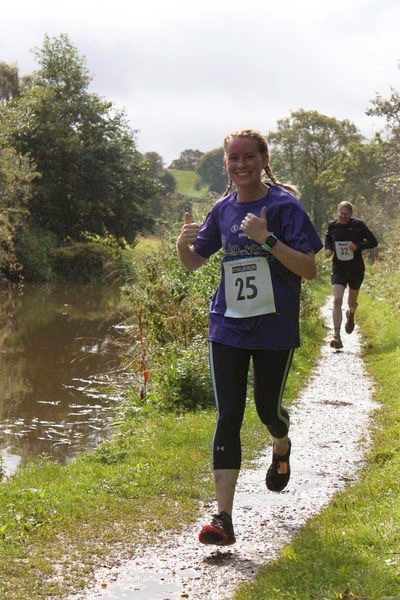 Here's our roundup of a local event we took part in last month - the Marple 10km Trail Run! 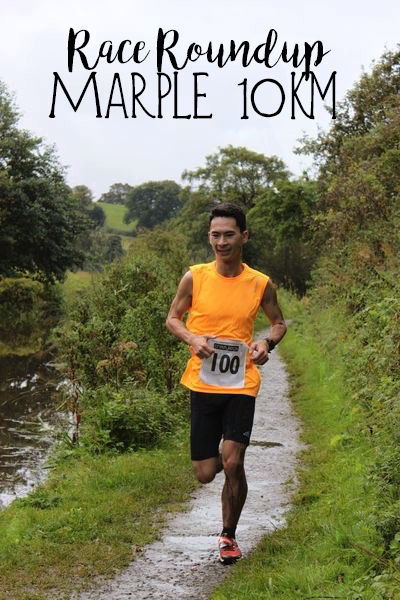 The Marple 10km Trail Race is a pretty small local event, the website explains all the details of how to enter but it's the first time we'd come across this as a system - to enter you had to donate the fee onto their just giving page and leave a comment saying who you're entering for! Race packs aren't sent out before the day. 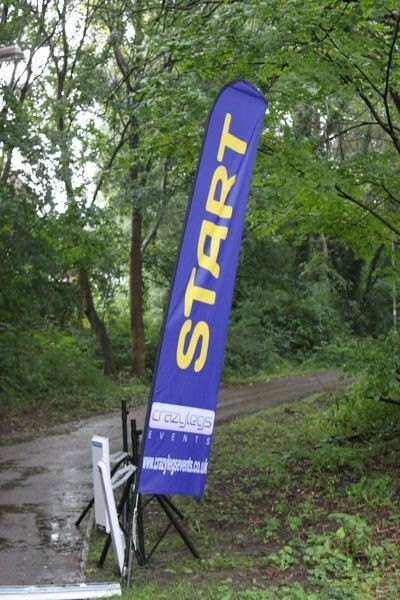 The route starts at the beginning of the Middlewood Way close to Rosehill Train Station so is pretty accessible via public transport or car, it was easy to spot where you could collect your numbers thanks to the little gazebo's they'd put up. The race numbers were easy to pick up (We always find it just a bit inconvenient to have to fill in your details on the day though) and the start line was positioned just meters away. 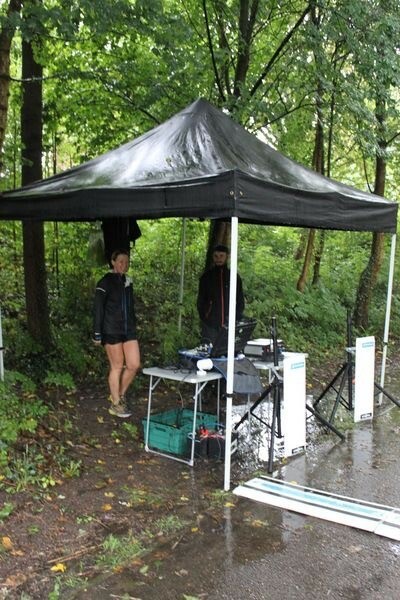 The route was well marshaled and even had an event photographer! Being a fairly small and local race the majority of the route was along country trail paths and canal tow path, there was little room for spectators, we only seemed to pass people out walking (or fishing) who had no idea the race was even happening! Towards the last km however there was a lot more support and cheering from a small crowd that had turned out! There were plenty of local runners taking part and we even had an Olympian swimmer which is always fun for moral. 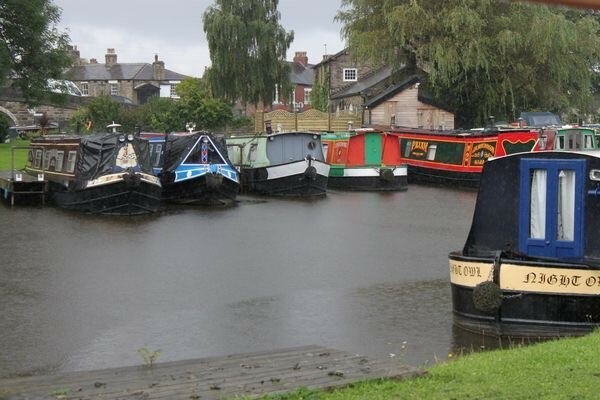 The route begins at the start of the Middlewood Way and follows trail path out for 4km. There is then a loop back before heading across a field - we'd had a lot of bad weather before this event (especially the morning of it!) and so this was probably the worst part of the route as it was more of a mud bath than field! From here the route followed canal tow paths back towards the village. The stretch of canal path took up the majority of the run and could feel a bit tedious, it was difficult to overtake other runners* and the path itself is very uneven terrain - good if you're up for a challenge though. Another difficult aspect of these paths were the steep bridges which were very slippery - not even Rachel's Nike Wild Trail shoes were happy about those areas of the course! After finally getting off the canal path it was a nice, slightly uphill, finish to the Marple Social and Forces Club. 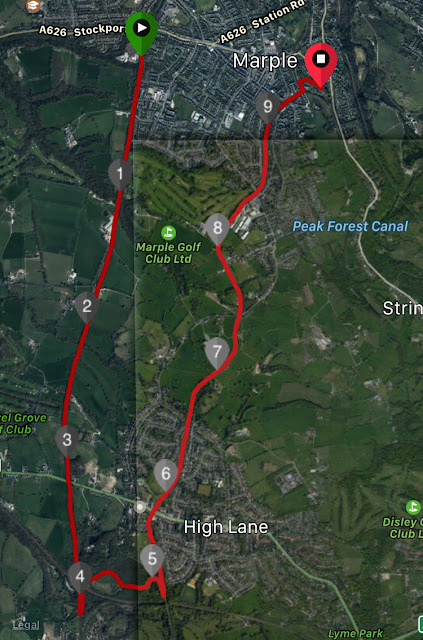 *It's worth mentioning here that the run usual has a staggered start with groups of about 15 runners based on their estimated completion time in order to combat any large groups on the canal path. This year however due to the eagerness to set off from the awful weather conditions there was no staggered start although most people seemed to have found their position by the time they reached the canal. When arriving at the finish runners were given a token to exchange inside the club for a free drink (alcoholic or soft), inside the club there were medals to be picked up (these were generic medals, not even specific, with a few different varieties to chose from) we also picked up the Firefighters pin badges to attach to our medals so we'd remember what the even was. There were also loads of sweets and sandwiches for the runners to help themselves too as well as tea and coffee - a really nice touch!